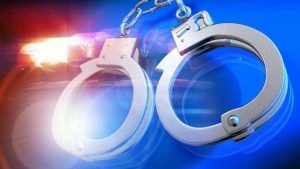 DEKALB COUNTY, MO.– A Kansas City resident is facing formal drug charges after an arrest on Tuesday. According to a probable cause statement, officers observed a vehicle fail to make a complete stop at a stop sign. Officers made contact with the vehicle during a traffic stop and identified Todd M. Parrack, 47, as a passenger in the vehicle. Law enforcement noticed a digital scale in the vehicle which led to Parrack shouting vulgarity towards the police. Parrack became noncompliant with officers and had to be stunned. After he was taken into custody, a plastic bag containing methamphetamine, a .22 handgun and drug paraphernalia were found in the vehicle. Parrack is formally charged with felony trafficking drugs in the second degree, felony unlawful use of a weapon and felony assault in the 1st degree. Parrack is in custody at Daviess Dekalb County Jail on $50,000 bond. A preliminary hearing in scheduled for April 16 at 9:30 a.m.